Here’s an image which was published in the creative geography journal you are here at the University of Arizona some years ago… great venue for artistic creations dealing with space/place. 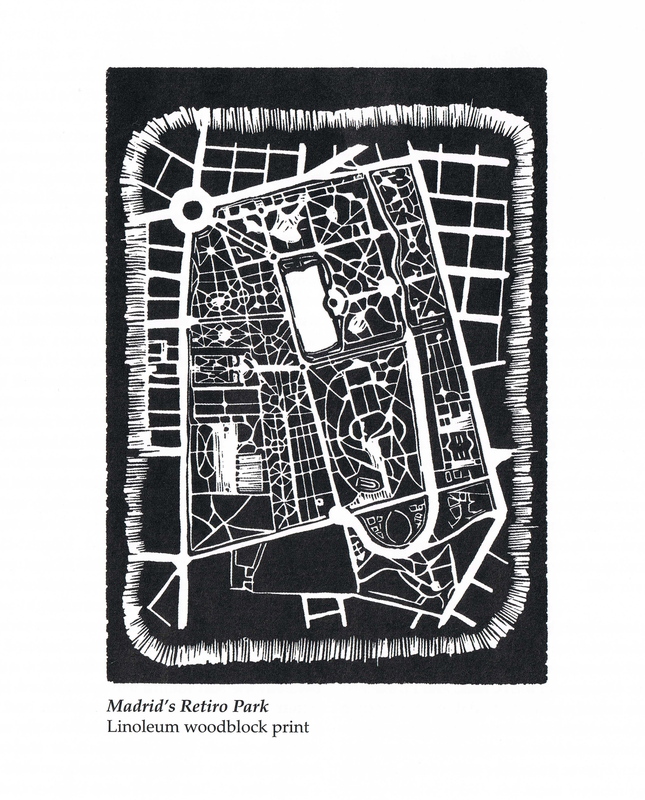 The park figures prominently in the Spanish film Taxi by famed director Carlos Saura (although also, given its prominent location and lengthy history in a great number of films, novels, etc.). See also this article.